After two sold-out editions, the miraculous Dutch night circus returns to Amsterdam. On the night of Saturday December 20th, Amsterdam RAI will once again offer shelter to Valhalla: a winter extravaganza where reality loses its freedom of speech and where the conventional is challenged by the impossible. Let yourself be seduced by a world in which oddities are not an exception and let yourself get carried away in the moment when extraordinary is normal. The classic circus theater and the Amsterdam night life melt seamlessly together all night long. The diverse styles that characterize this night life are united as one. A Cirque Animale of music styles. A labyrinth of music styles are programmed at The Horse, that surprise even the most accustomed ears, with Joris Voorn, The Martinez Brothers, Hot Since 82 and Kölsch. 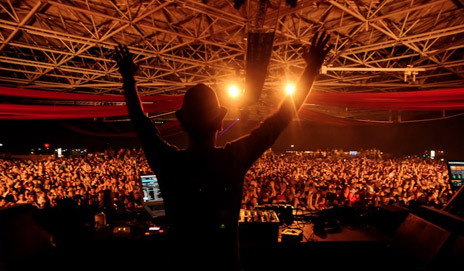 Sensual deephouse will prevail at The Cobra, with Robin Schulz and Alle Farben amongst others. The Monkey, led by deephouse heroes Joris Delacroix and Andhim, is programmed for those that want to take it a notch deeper. Heavy bombastic techno will sound the speakers at The Elephant with Planetary Assault Systems LIVE, Harvey Mckay and from Dutch soil: ROD and Juan Sanchez to name a few. Eclectic fans will feel welcome at The Tiger, where Yellow Claw, Oliver Heldens, Tchami and others will represent the sound. The UK sound will be showcased at Valhalla by Boddika, KiNK, Ben Pearce and De Sluwe Vos at The Bear hosted by Desperados. Last but not least, like every year, Valhalla has reserved space for the Amsterdam sound at The Camel, with Boris Werner, Prunk and many others. Tickets are available at the Valhalla website. Early bird tickets are €44,50 and regular tickets are €49,50. Lovebox 2013 – First Main Arenas Announced…BRING ON THE SUMMER!